Displays the account statement of all customers belonging to the group, as defined in the Customers and Suppliers settings. 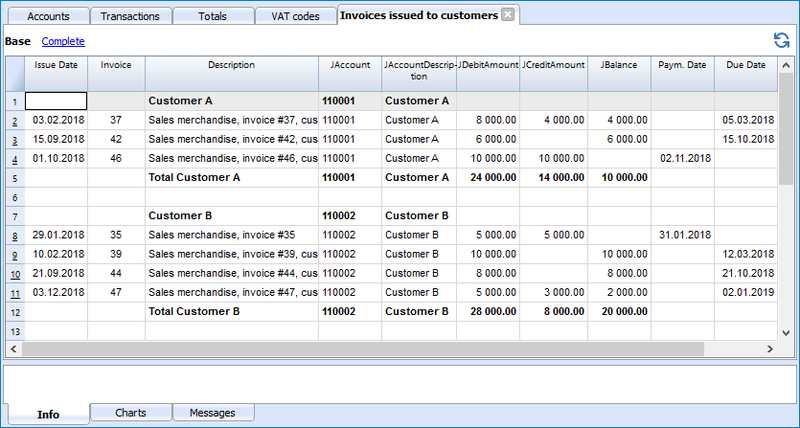 Displays the account statement for the customer selected belonging to the group defined in the Customers and Suppliers settings. 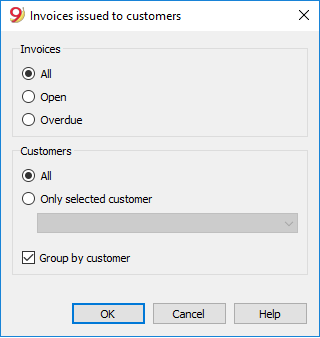 Invoices showing an open balance are being listed in this table. In this table, invoices showing an open balance are being listed, filtered by expiration period.